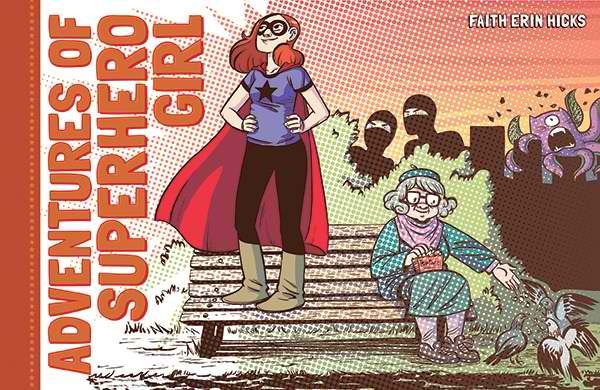 THRILLED to hear that Faith Erin Hicks’ Superhero Girl will be republished by Dark Horse. It’s due out in February as a $16.99 hardcover. And now, in color! Hicks is one of my very favorite creators for her clear-eyed take on young people, both visually and in terms of the stories she tells with them. See Friends With Boys for the latest example, although I’m also very fond of The War at Ellsmere.